Board enthusiasts rejoice! The iconic Stack II is back from Supra. 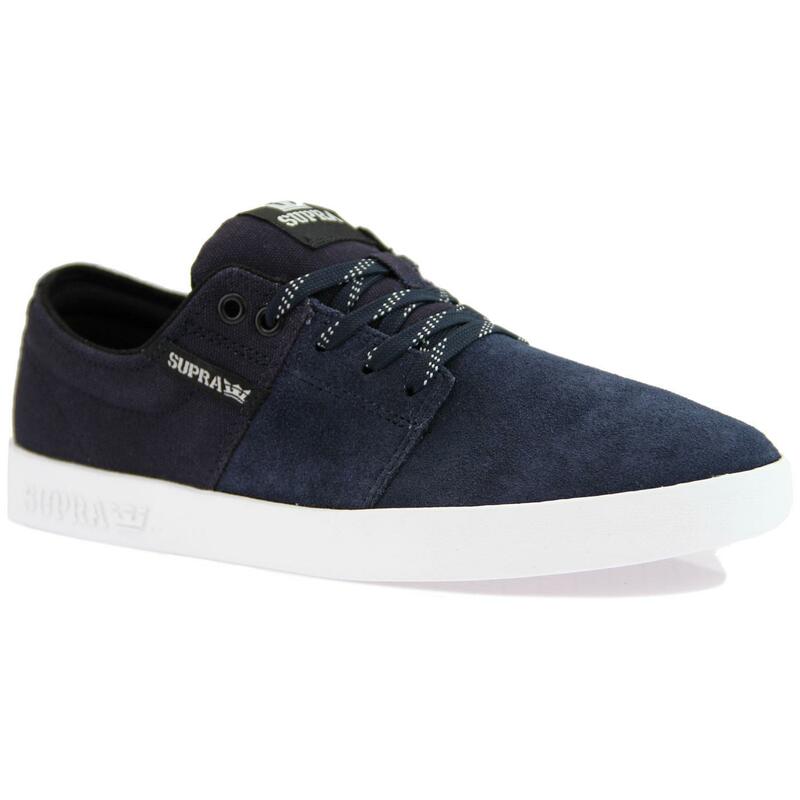 This lightweight but sturdy skate shoe has a low top silhouette and is made from a soft navy suede on the front and a durable canvas at the back, the sole is light to give great board traction and is in a bright contrasting white for a cool look, and this trainer has Supra branding tabs on the tongue, side and one raised on the sole for authenticity. A cool shoe for a cool customer. - Stacks II skate trainers in navy and white by Supra. 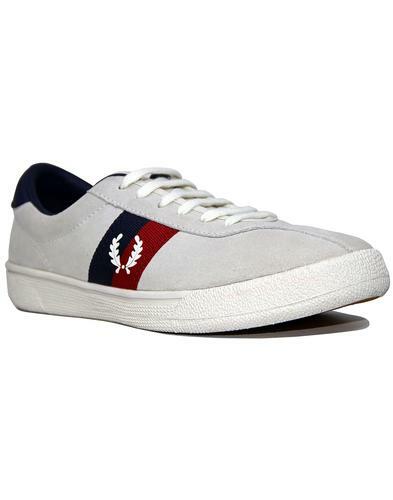 - Navy canvas and suede upper. 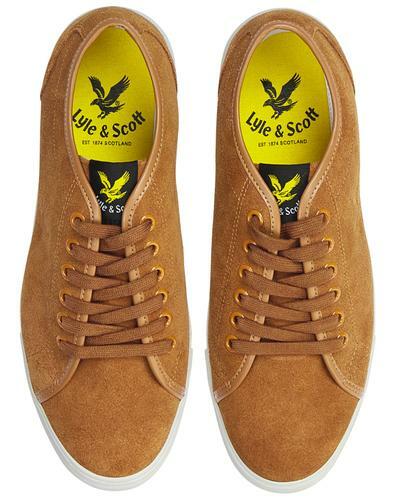 - Thick sole for great board traction and style points. - Navy and white laces. - Padded inner with extra padding for the ankles. - Authentic Supra tabs on the tongue and side. 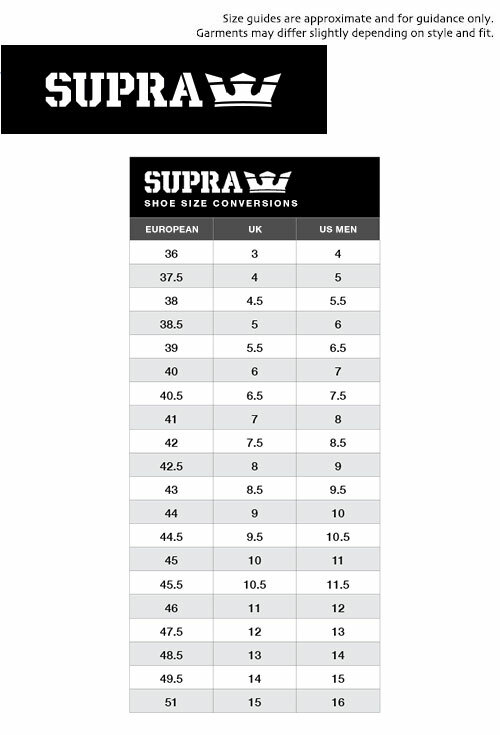 - Raised Supra logo on the side of the sole.